Click the following link to view the post-internship report by Vaibhav. Post-Internship Report by Vaibhav Duggirala. 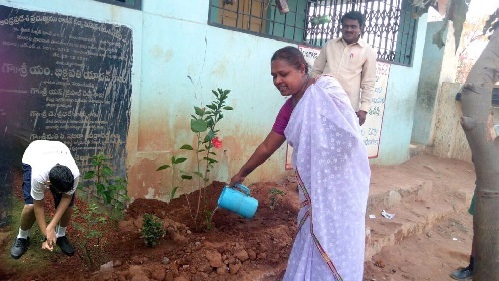 MPP School is located in Sriram Nagar Colony, Addagutta near JNTU, Kukatpally Mandal, Hyderabad. Vaibhav has donated $300 to support the school. 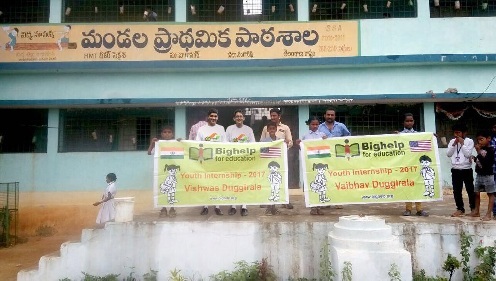 Bighelp has provided 40 school bags to students for carrying their books, notebooks, binders and other school supplies.